The building that stood so many years at the intersection of Excelsior Blvd. and Highway 100, across the street from Snyder Drug, was originally the parsonage of the Congregational Church. It was first occupied in December 1886 on land donated by Christopher Hanke and Calvin G. Goodrich (although one report is that the house dated back to 1875). The church itself had moved to 37th and Alabama in 1893. For many years, the Parsonage (as it was still called) was rented by the Friegang family. The address was listed as 3929 Wooddale in the 1933 phone book. William “Will” and Nancy Friegang had moved to Park from Montana shortly after the last of their five children was born in 1919. They had a truck farm and kept bees on a large parcel of land stretching south along Wooddale from Excelsior. Ferris Keyt remembers, “The Friegang boys were older than I and had constructed an extensive series of tunnels and my mother did her best to keep me out of.” A former resident describes it as having four large bedrooms upstairs and a fancy staircase. It appears that the Friegangs had all moved out of the Park by 1945, some moving to California. In 1940 Joe Billman’s Lilac Way Funeral Home opened, now at 3912 Wooddale, an expansion of his mortuary at 2121 Nicollet Avenue. In 1945, Joe advertised “for finer funerals for less,” and “It is better to KNOW US and not NEED US than to NEED US and not KNOW US.” He sponsored a radio program of Bible dramas on WLOL at 6:15 pm each Saturday. Joe ran the establishment with his son John, who is pictured in the ad on the cover of the phone directory in a Navy uniform. After World War II, John attended the mortuary science program at he University and was a pretty well known Gopher football player as well. He and his wife moved into the building in 1949, but John was recalled to active duty in July 1950. In March 1953 Billman had toyed with the idea of moving to 4120 Excelsior, but instead built new building next door at 3960 Wooddale. 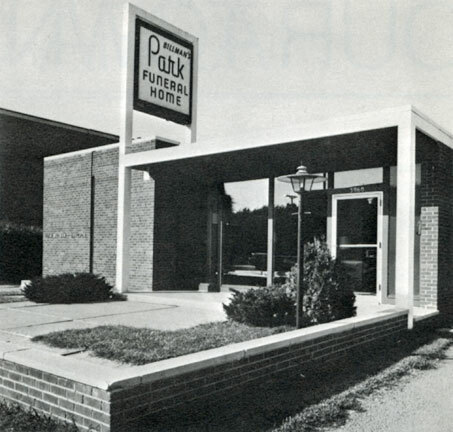 Whereas the first building had been just a chapel, the new facility was the full-service Park Funeral Home, and John Billman took over as Director. A 1960 promotional calendar indicated that the facility had been “beautifully newly redecorated.” In 1982, the business was sold to Gearty-Delmore. After moving into his new building, Joe Billman “revamped” the old building (the former Friegang house) into a restaurant. The first of the restaurants in the building was La Miracle Dining, which opened on December 20, 1953. The President of La Miracle Dining, Inc. was Donald G. Cain; Penny Gore was the Manger. The Grand Opening announcement promised a suburban atmosphere with city efficiency. Also colorful atmosphere – candle glo – music. From at least September 1954 to January 1955, the manager was Joe (Jo) Campe, and the restaurant featured a gleaming glass enclosed solarium. One could get a pheasant or mallard duck dinner for $1.95, and pastries made by chef Oscar Howard. Ads emphasized the fact that it was a family place, with no bar. On September 30, 1954, the Dispatch announced that the dining room was now operated by Dorsett and Hanson, caterers in the area since 1884. In 1956, a La Miracle Drive-In was proposed by Ms. Gene Black, but opposed by a Mr. O’Brien on Utica. Permit denied. In 1958 the business was bought by Phil Brecount, who opened the Blossom Florist and Diner (aka Phil’s Diner, aka Blossom Diner and Floral Shoppe) in April 1958 (member CAB). The Dispatch reported that the owners were Nicholas Meister and Jim Paye. Some remember that the restaurant was run by Nick and Gladys. 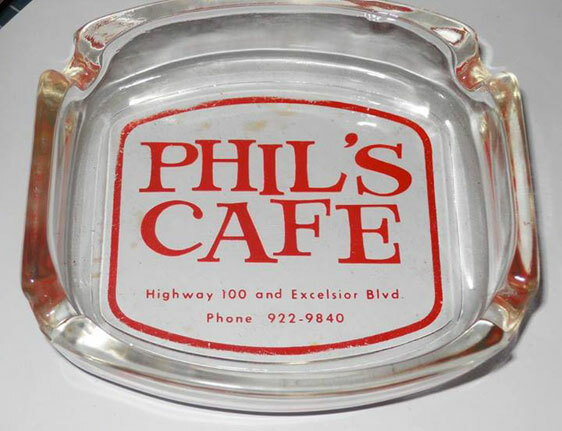 Phil’s Cafe was listed in the local phone directory in 1965 and 1966. In 1957 the second story of the house was demolished and a new $100,000 second floor was built. The building became the Wooddale Professional Building when Billman, acting as the Flower Realty Co., added space for 15 businesses. Over the years it housed doctors, a barber shop, beauty shop, a printer, a rental business, and any number of other companies. Chiropractor Glenn Braatz was there from 1954-1987. The Willow Tree opened in the site of the restaurant in September 1960. The store, owned by Shirley Barber, sold wickerware: willow, reed, rattan, and bamboo. 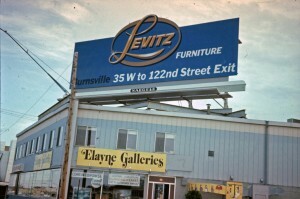 Elayne Galleries took over the site of the Willow Tree in 1969 . After taking over more and more space, Elayne Galleries moved to 6111 Excelsior Blvd. in 1977. Ross & Ross Auctioneers, Inc., was owned by Percy Ross, a man who would become famous for giving away his money. The auctioneering company was located in the Parsonage in 1960. Mr. Shelley’s Hair Fashions/Miracle Mile Hair Fashions had its Grand Opening in July 1960 and was there until at least 1972. In a February 1960 Echo there was an ad for Shelley’s Teenage Special: Cokes, coffee, chatter, and curls. As years went on, the City found more and more code violations in the building, and by 1988 it was no longer tenable. It was demolished in May of that year – by that time it was owned either by the Billmans or Gearty-Delmore. Gearty-Delmore’s current facility was built on the site soon afterwards. The old parsonage served the community well in its approximately 100 years, and its picture was prominently featured in ads in St. Louis Park phone directories from 1940 til the new building was built in 1953.